The school principal gives leadership in the school. The principal is responsible for the school administration, activities, personnel, facilities and equipment related to the school unless otherwise specified. The principal reports directly to the School Board and works in cooperation with other administrators who comprise the Leadership Team. Ensure that the curriculum development (mapping) includes the identification of clearly defined expectations for student learning that explain what students are expected to know and be able to do upon completion of the grade level or grading period. Responsible to review and approve monthly lesson plans for the teachers. Ensure that teachers have written curriculum guides and support materials that serve as a basis for implementing the curriculum. Ensure further development and implementation of the comprehensive assessment system. Ensure that the timely dis-aggregation of scores from all approved standardized testing are used to guide improvement planning initiatives at all levels. Ensure that the curriculum and the educational material adheres to Islamic values. Ensure that expectations for student learning are aligned and reviewed at regular intervals and that the implementation of the curriculum is monitored. Ensure that school staff consistently implement instructional strategies, innovations, and activities that are research based and reflective of best practice. Ensure that curriculum promotes the active involvement of students in the learning process, including opportunities to explore application of higher order thinking skills and to investigate new approaches in applying their learning. Ensure that the school and its program emphasize elements of citizenship and conduct that include honesty, responsibility, and respect for others. Develop opportunities to ensure greater involvement of the teachers in decision making especially with regard to academic policy development and procedures. Ensure that a coherent and systematic school improvement planning process is implemented that develops an annual school improvement plan. Assist in acquiring, supervise and develop the school’s human resources so that the educational and other programs of the school might be most effectively implemented. Assess staffing needs, cooperate with School Board in recruiting, interviewing and making recommendations concerning employment. Prepare, maintain, secure and oversee the attendance, activity, planning, reports and records of all personnel in compliance with legal restraints and polices. Develop and coordinate services which will foster the well-being of students and provide for their individual needs. Establish and direct behavior management systems which are consistent with LUA School Policies and Procedures. Provide orientation for students new to the school. Compile, secure and use student records in compliance with legal restraints and policies. Foster and maintain effective two-way communication with the community. Organize and meet with PTO and other advisory groups. Direct the release of information about the school through newsletters, meetings, newspapers, parent groups and other appropriate communication techniques. Develop relationships with individual and community groups which foster support for school goals, objectives and programs. Develop and maintain professional, personal skills and knowledge needed to provide effective leadership as a principal. Participate in local, state and national professional organizations. Visit programs in other schools and attend educational conferences. Present regular reports to the school board. Assist in the preparation and implementation of the school budget. The principal is responsible for obtaining and/or renewing the school accreditation. 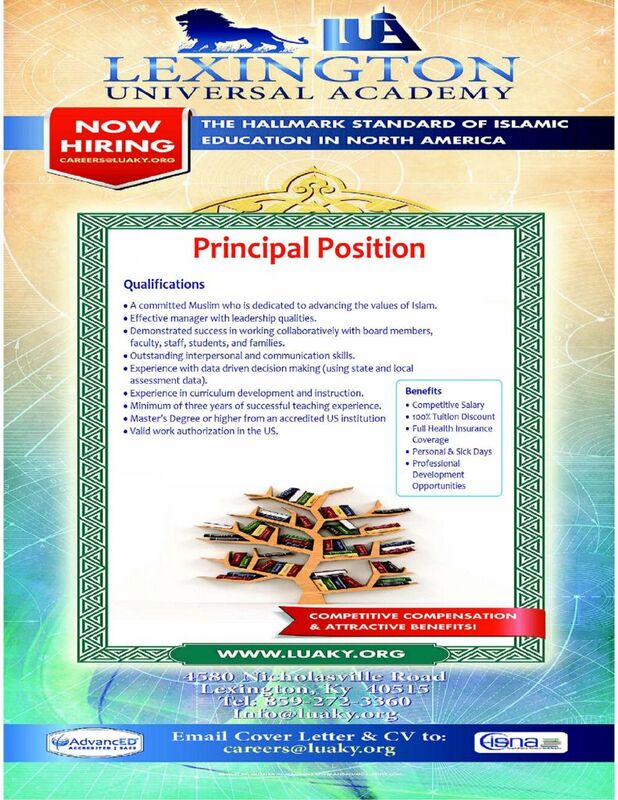 The principal is responsible in preparing and implanting the LUA master Calendar. The principal is responsible for informing the board of scheduled functions by the approved the groups. The principal is required to request a board permission before inviting guests to LUA. The principal must inform the board of his absence in a timely manner and appoint an temporary replacement. Assist the custodian in providing appropriate cleaning and custodial services. Organize and oversee scheduled building/equipment maintenance list and report any facility malfunction for repair. Direct and coordinate school maintenance services and the use of school facilities by approved groups. The principal is the principle of the safety officer. The principal is responsible for scheduled disaster drill through the year.